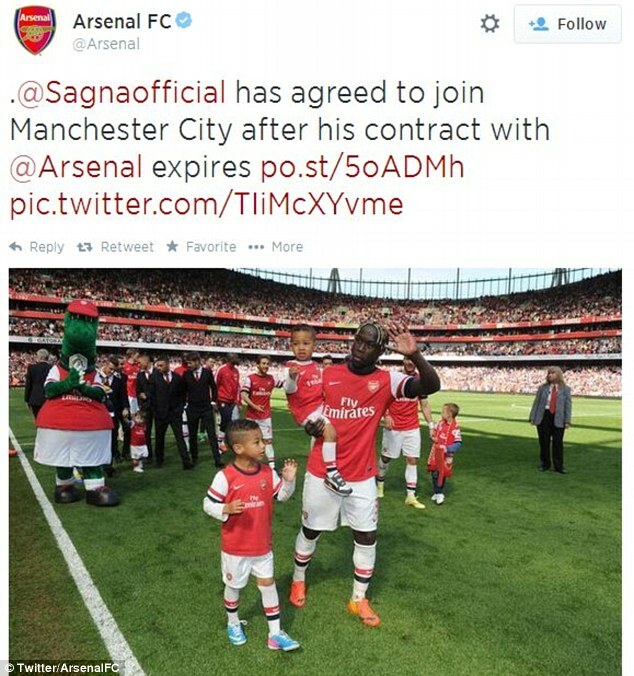 Bacary Sagna has joined Manchester City on a free transfer from Premier League rivals Arsenal. The defender has signed a three-year deal with the Premier League champions worth £150,000-per-week - inclusive of add-ons and bonuses. As revealed exclusively by Sportsmail in May, the 31-year-old will officially join City on July 1 - ending his seven-year spell with the Gunners. 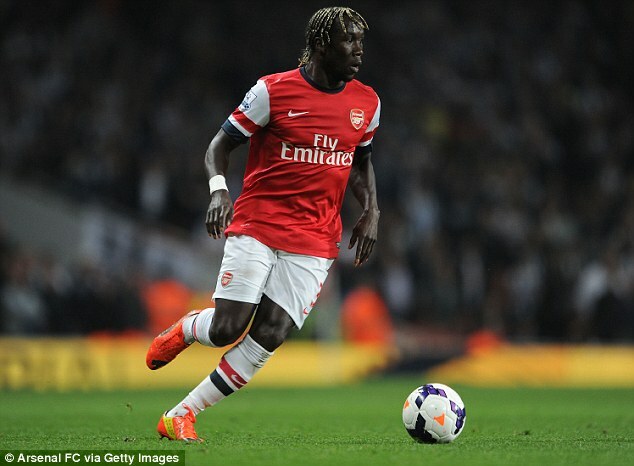 Sagna is a hugely experienced defender, having represented Arsenal 213 times since joining them from Auxerre in 2007. During that time he has picked up 41 caps for the French national side. 'France are in Group E of the World Cup, alongside Switzerland, Ecuador and Honduras. They begin their World Cup campaign against Honduras on Saturday. 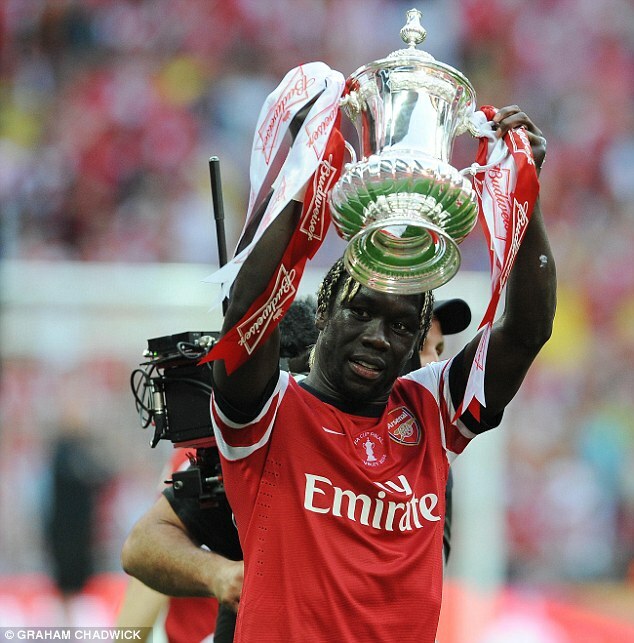 Sagna becomes the latest Gunner to move to City - following in the footsteps of Emmanuel Adebayor, Samir Nasri, Kolo Toure and Gael Clichy.